In our 28 years in the business, this is the first one of these buttons that we have been able to offer. 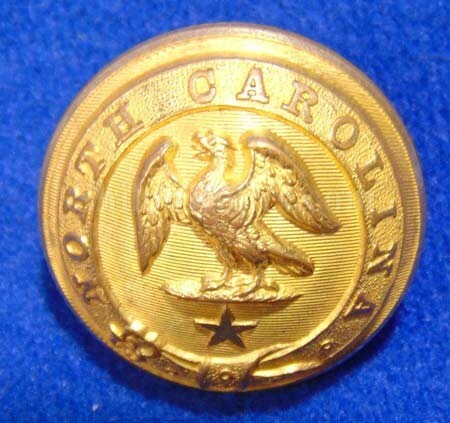 This is a beautiful designed and very high quality crafted Civil War button. 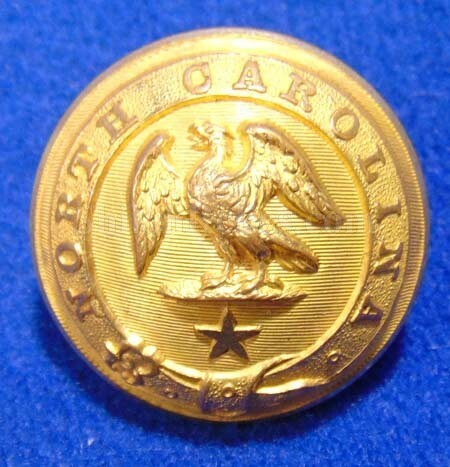 This is a simply gorgeous North Carolina button that was created by Firmin & Sons of England, the same firm that produced the beautiful Confederate navy buttons. It measures 23mm in size, which is a fine coat size. 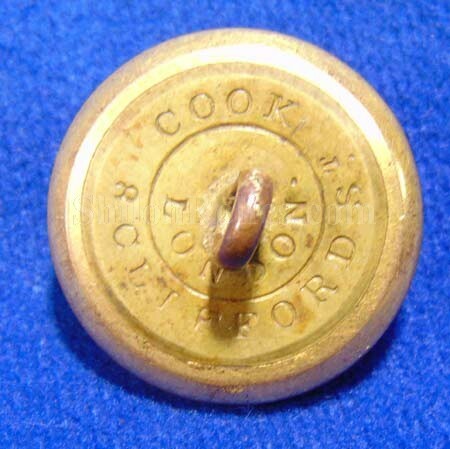 Tice states that these were made for a London Tailor named Robert Cook. 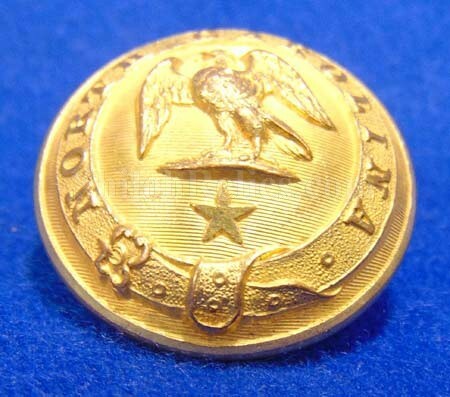 It has the eagle in the center with the single star below. Around the edge it has a belt that reads "NORTH CAROLINA". 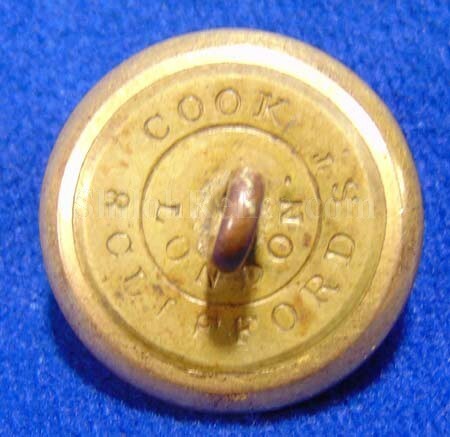 As you see, this button has excellent original gold gilding with exquisite craftsmanship and detail. 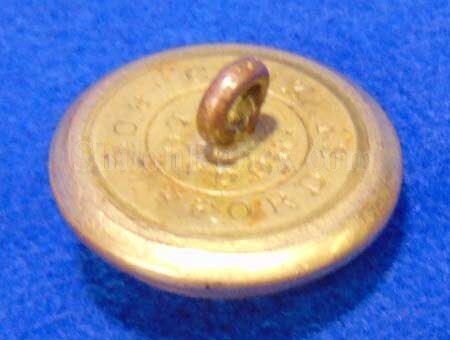 This button is listed as NC10 in Albert's book and is NC248A1 in Tice's button book. There are no known smaller size buttons of this pattern. 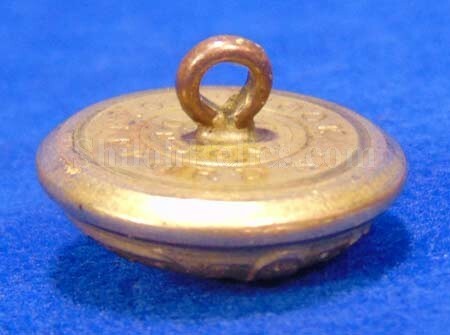 The last price guide listed this button in non-excavated condition like this at $10,000+. It could be years, if ever, before you get another chance at one of these beauties.